With the New York upstart set to make her Liverpool bow later this summer, Getintothis’ Craig MacDonald gets ready for her arrival. The prolific songwriter Greta Kline will finally make her Liverpool bow this year, when Frankie Cosmos heads to The Magnet on 1 August. A champion of the DIY scene, her exceptional creativity has seen her release a swathe of acclaimed recordings under her different personas, with last years Next Thing further highlighting her ability to create moments of brilliance from seemingly nowhere. Having initially built up an arsenal of home made recordings, Kline swiftly built up a reputation in her native New York for her prolific output. 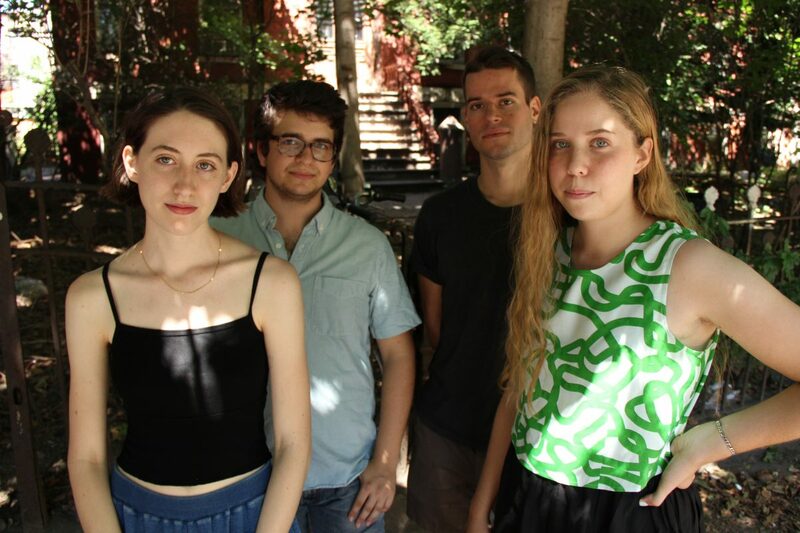 Teaming up with Aaron Maine in 2014, they released the debut Frankie Cosmos LP, Zentropy with critics and peers quick to lavish them with praise. Doubling in numbers, the group now bolstered by David Maine and Gabrielle Smith, were quick to follow up on their debut with the results producing a record that featured on many people’s end of year lists. With this date marking the debut performance from Frankie Cosmos, we would urge all to head down to see one of the finest talents to come from across the Atlantic in recent times. Trust us, they are that good. Frankie Cosmos plays The Magnet on 1 August. Tickets go on sale 14 April.